Helena Lucas, Paralympic Gold and Bronze medalist in the 2.4m Class has recently been appointed to help steer the new RS Venture Connect Class. Following the recent announcement of the RS Venture Connect being selected as the new Para double-handed class. We spoke to Helena to understand a little more from behind the scenes. “Recently I was approached by RS Sailing to see if I’d be interested in being involved with the RS Venture Connect. After hearing the announcement at the World Sailing Conference that the RS Venture Connect was going to be the new Para double-handed class, I was keen to be involved. In finding out more, it quickly became apparent we were going to be privileged with a format change, and the new proposed format of stadium racing with a knock out round going into Semi finals and a final, is an exciting step forward for Paralympic sailing. The RS Venture Connect reminds me a lot of the RS200, which my husband and I used to race together. We now have a slightly larger boat (!) that is taking up some of our time as we fit her out for some offshore racing we have planned for this year and next. My vision with the Class is to make it cool and exciting. 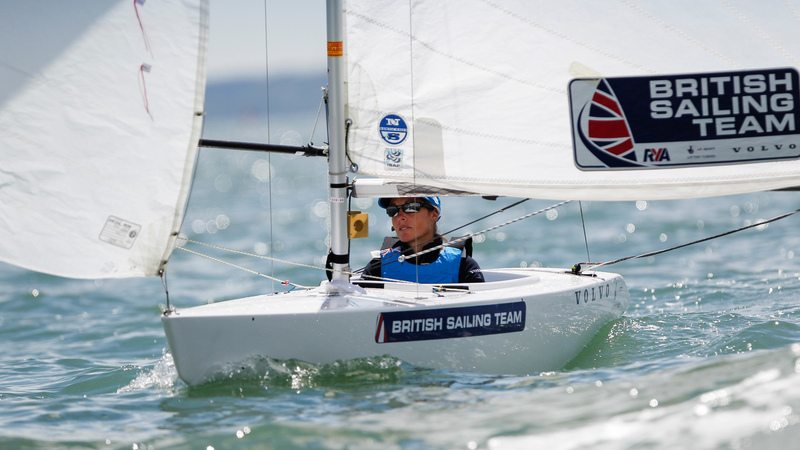 As a sailor having competed at 3 Games, I believe many of us want to see Para sailing moving with the times and following the development of the Olympic classes whilst still being accessible and believe the RS Venture Connect is definitely a step in that direction. 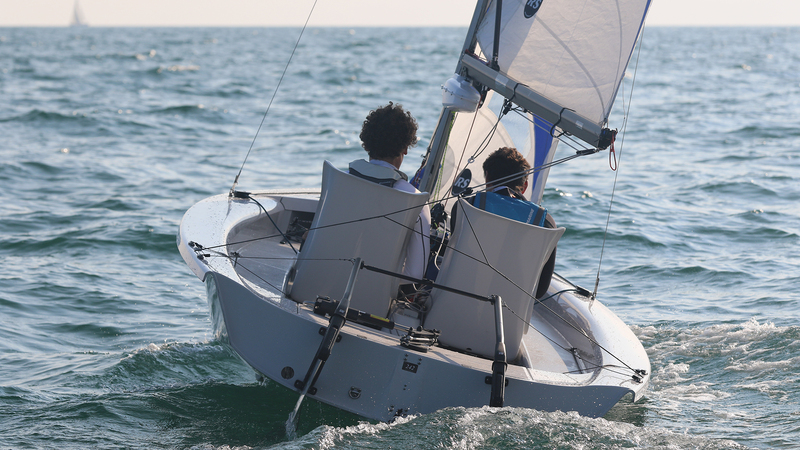 Configuration for the Worlds in Sheboygan is currently the two seat set up, but there are discussions to have the option for one seat with the crew being able to move around the boat and hike as required, which for the sport will be awesome. I have had some really positive feedback from sailors, excited by the opportunity to be more physical in the front of the boat, whilst still catering for the more disabled athletes who can take up the seated helming position. With the 8 point system we are trying to encourage a mix of disabilities to come together and sail with each other and with an extra point up for grabs if your female, support more female participation in our sport. The RS Venture Connect can equally appeal to everyone – especially with the electronic steering system and joystick, which will be available at the worlds. This really opens things up and makes it accessible to everybody. I know there is concern about the 4 and 5 pointers and whether they will be able to crew with the single seat configuration. With a transfer seat and grab bar (which will be supplied with the boats) I don’t see an issue. Although they may not be able to hike, with the short course racing I don’t think it will have a big impact. There is also the two seat configuration, with all control lines being lead back to the central console just in front of the helm and crew, this really opens up the options. The proposed format for the Worlds is an exciting stadium style racing with a knock out round leading into a semi final and a final. 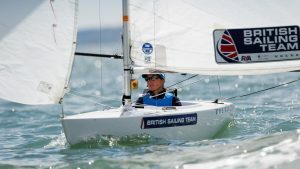 This will make it really exciting for spectators who can watch the racing from the shore and offers something different to Paralympic sailing, which up until now has been fleet racing. It is also likely to help with media coverage, being more of a spectator set up and give the opportunity for live drone footage and commentary being streamed live on social media. I remember I was in Miami at the World Cup when it was announced that sailing was going to be dropped from the 2020 Paralympics. Initially I did not realize the consequences and impact it would have, having made the decision to retire from Paralympic sailing after Rio. Soon however I began to think of my friends and competitors and realized the impact it was going to have on their lives. In particular fellow team GBR sailors, who now with me out of the way finally have their chance to win a medal at the Games. I have made some great friends on the circuit and there is a real sense of community within Paralympic sailing. It doesn’t seem fair that they don’t have the opportunity to compete on the World Stage that they so deserved. When you see people leaving the dock, you can visibly see those sailors leave their disability behind. It’s an even playing field and not many sports, (if any), that disabled sailors can compete alongside able bodies sailors. The 2.4mR Class is a great example with numerous Paralympic sailors medaling at the Open World Championships. It is an even playing field and you can be competing against the best able-bodied sailor; it’s all in the tactics, knowledge and skill. It is the perfect example of a sport that is incredibly special. The RS Venture Connect is very similar. You can change, and adapt the boat to suit whatever you need, and once you do that you leave that disability on the shore. So my task is now to help develop the Class, set it up and make it an amazing Class to be involved in, and all the while help sailing get back in for the 2024 Games. Realizing by not being part of the Games we have lost the opportunity, to inspire all those youngsters that might be watching to come and have a go at our sport is incredibly disappointing. There is a boat for everyone regardless of your level of disability, the RS Venture is for you – get out there. Sailing is one of those things – you’re one with nature and it can be exciting, exhilarating, peaceful, relaxing all in one day! 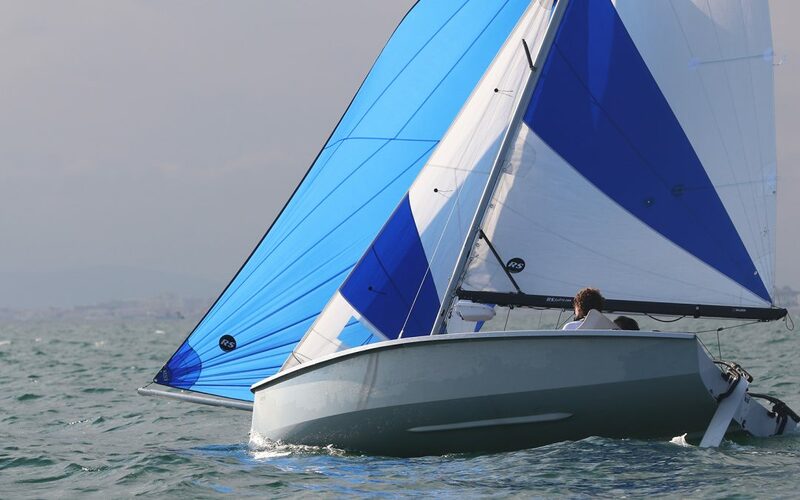 The RS Venture Connect and all the design features covers a massively spectrum of physical disability, there is literally no one that can’t have the opportunity to sail this boat, and enjoy it. The simplicity of the boat, welcomes non-sailors too as they can be sailed with a more seasoned sailor. For more information on the RS Venture Connect Class head over to the Class Page.